It is a common known fact that technology doesn't press the key on the keyboard, it is the human user or operator that does. Any business's staff are the key to any secure operations and, here at Siker (part of the HS and TC Group), it is our mission to help you understand what your level of exposure to behavioural risk is and what learning measures (awareness, training or education) you can put into place to help mitigate this risk. Additionally, our experts can help you assess the level of competency in your workforce and identify any skills gaps. Working as an integral part of your business, a Capability Improvement Plan (CIP) can be developed and implemented that will fit your schedule and work seamlessly with your business goals. 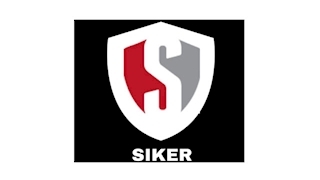 Siker was originally established in 2013 as HS and TC, with the main objective of providing high-quality and globally recognised professional services and will leverage known existing and cutting edge research and other industry expertise to include a more comprehensive awareness/training suite to be usable by all industries. We also bring a unique blend of benefits to any project based on an Industry Security Awareness Maturity Model that Tim Harwood co-developed. Our approach to Security Awareness: Rather than focusing on emerging trends, vendor recommendations, product comparisons, etc Siker’s approach is based on an industry awareness maturity model and focuses on the Behavioural Risk from the people, skills and management. Independence and objectivity: Working with a completely technology and vendor neutral consultancy will ensure that the advice and deliverables provided are wholly based on the best interests of the client and their partners without undue influence form the outside.